Flash mobs can still make people smile, but nowadays they need to be executed in a quirky / original way in order to resonate. 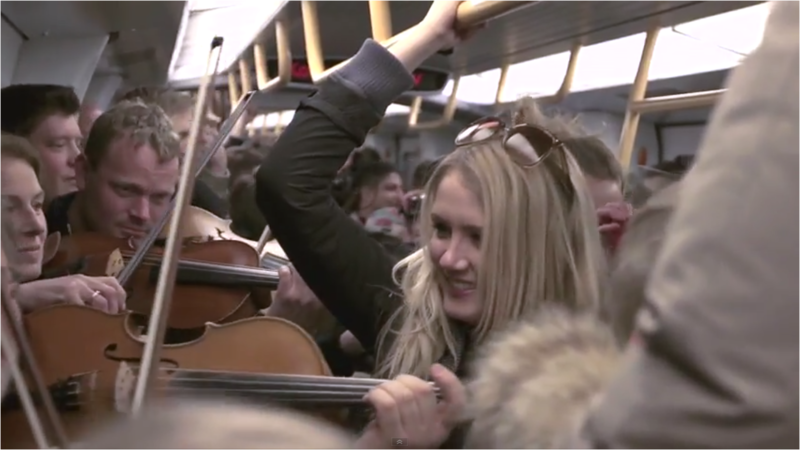 The Copenhagen Phil orchestra recently showed how flash mobs can still work, carrying out a flash mob performance on the Copenhagen Metro to promote both themselves and Danish classic music radio station Radio Klassisk. This year the Copenhagen Phil orchestra played Grieg's Peer Gynt for commuters on their way home - looks more pleasant than travelling on the London underground at peak time! With nearly 5 million views for last years performance and 1.2 million views for this year's Copenhagen Phil orchestra stunt, there may still be life in the flash mob format after all!!! Eurovision flash mob performed simultaneously across Europe!